The India Infoline Limited group has moved to increase the net worth of its asset management company through additional infusion of funds. The investment is through the asset manager’s holding company IIFL Wealth Management, and is Rs 34 crore (Rs 340 million), according to its statement. The company’s net worth is now Rs 52 crore (Rs 520 million), or slightly above the Rs 50-crore (Rs 500-million) mark capital markets regulator Securities and Exchange Board of India has decided to be the new minimum networth for mutual funds. The earlier threshold was Rs 10 crore (Rs 100 million). Motilal Oswal Asset Management Company increased its net worth from Rs 23 crore (Rs 230 million) to Rs 52 crore (Rs 520 million) in the week. Religare Invesco Asset Management Company raised its net worth to Rs 57 crore (Rs 570 million) last month. 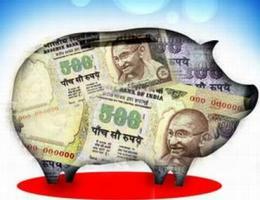 There were originally 19 asset managers who had a net worth below the Rs 50 crore, mark according to Sebi figures. Eleven of these had a networth which was less than Rs 25 crore (Rs 250 million). The regulator had said that higher networth would help asset managers during times of a liquidity crises as the higher networth would allow them to borrow money to meet investor redemptions. Smaller fund houses have argued against the move, pointing out that mutual funds are meant to be pass-through vehicles. IIFL’s asset management arm manages Rs 209 crore (Rs 2.09 billion) and has 20,000 investors; according to a company statement. Its venture capital and alternative investment fund divisions have commitments worth Rs 2200 crore (Rs 22 billion); it added. Investing in stocks? Be smart, be safe! Should you opt for the new retirement funds?